*edit* I’ve since realized I had the joystick set up wrong on the breadboard. I’ve gotten one with a breakout board, and will try again this week. As is common with any plan, it didn’t work out the way I thought it would. I have the sketch for ICM somewhat working, but it’s not quite where I want it to be. 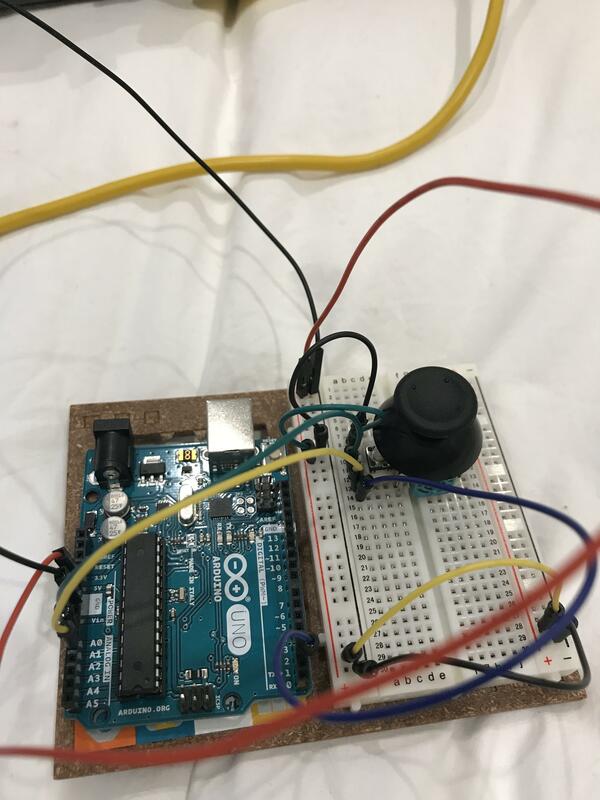 I’m getting output to the console with the Arduino and joystick, but it’s not what I expected. The results in the console are scrolling by regardless of if the joystick is being moved or not. IMG_6355 from Kellee Massey on Vimeo. IMG_6357 from Kellee Massey on Vimeo.